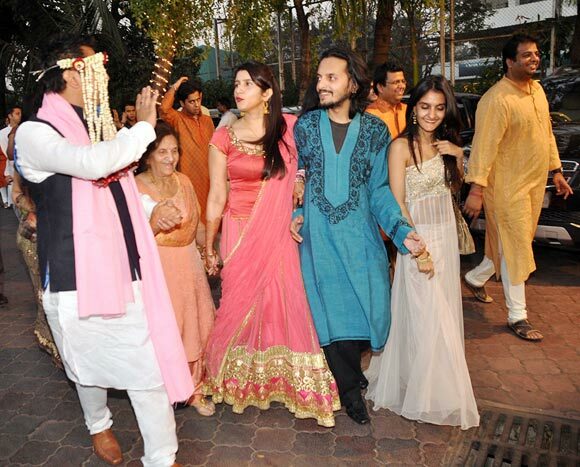 After low-key sangeet and mehndi ceremonies, actress Udita Goswami got married to director Mohit Suri (of Zeher, Kalyug, Woh Lamhe, Raaz: The Mystery Contrinues, Murder 2 fame) in a traditional Punjabi ceremony at Hare Rama Hare Krishna temple in Juhu, a western Mumbai suburb, on January 29. Here's a look at the star guests and wedding pictures. Kangna Ranaut, who worked with Mohit in Raaz: The Mystery Continues, looked refreshing in a sari. Mohit Suri's cousin Emraan Hashmi arrived with wife Parveen Shahani and son Ayaan (not in the picture). Emraan will perform a special dance number at the reception, on January 31, at the Mahalaxmi Race Course in South Mumbai. 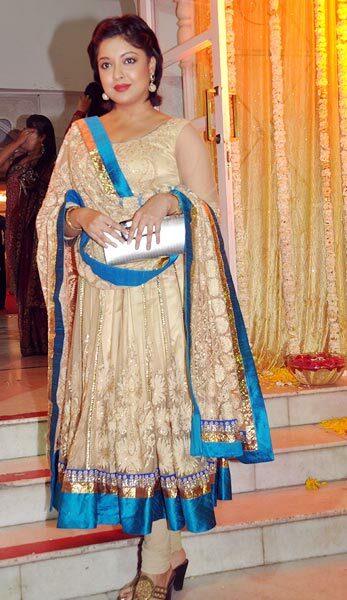 Udita Goswami looked radiant in her bridal finery. Udita and Mohit exchange garlands. They had been seeing each other for nine years before they decided to tie the knot. 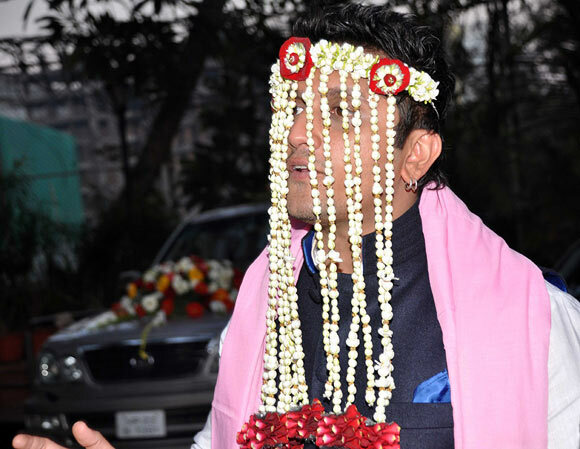 Mohit Suri took a break from the filming of his new movie Aashiqui 2 for the wedding. Dressed in black and white traditional wear, the groom was escorted to the venue by his grandmother, sister Smiley Suri (who starred in his film Kalyug), cousins Vishesh and Sakshi Bhatt (Mukesh Bhatt's children) and friends. Mohit's mother is the sister of Mahesh and Mukesh Bhatt. Kangna's sister Rangoli was also present at the wedding. Actress Jacqueline Fernandes, who worked with Mohit in Murder 2, looked beautiful in her Anarkali dress. Shraddha Kapoor is currently working with Mohit in Aashiqui 2, set to release this year. 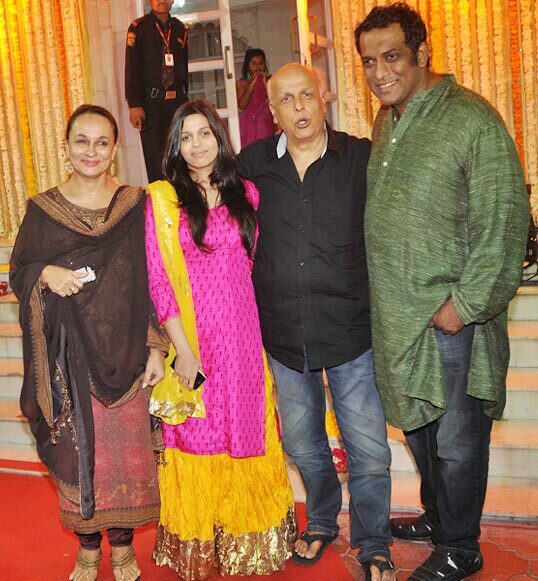 Mohit Suri's uncle Mahesh Bhatt arrives with wife Soni Razdan, daughter Shaheen Bhatt and director Anurag Basu. 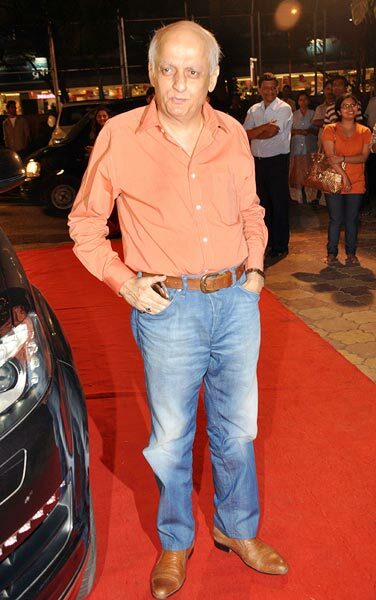 Mohit's uncle Mukesh Bhatt arrives. Actress Dia Mirza arrives with beau Sahil Sangha. Filmmaker Vikram Bhatt arrives with wife Aditi. 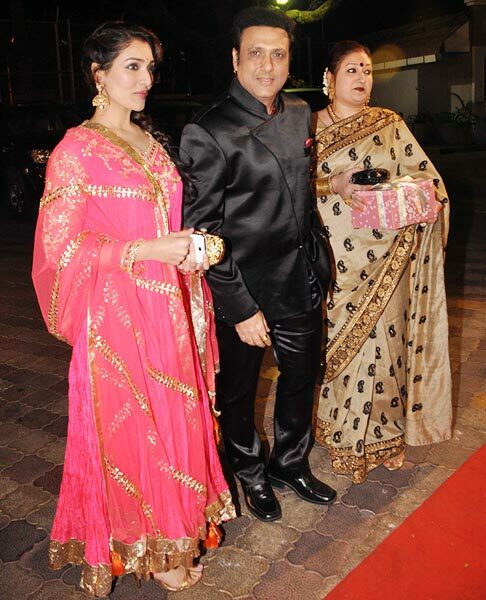 Govinda, who is busy promoting his long-delayed film Deewana Main Deewana, arrives with wife Sunita and daughter Narmada. Jannat director Kunal Deshmukh arrives with wife.